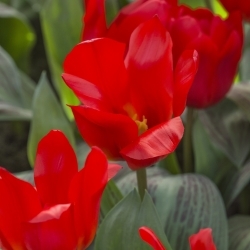 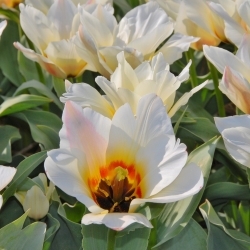 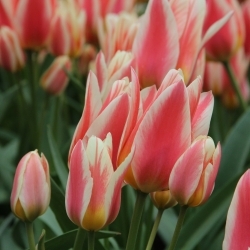 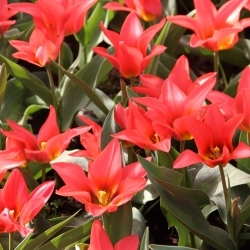 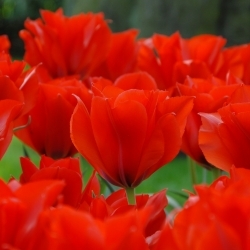 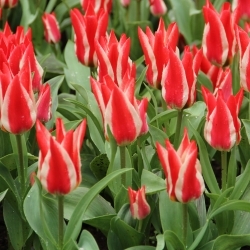 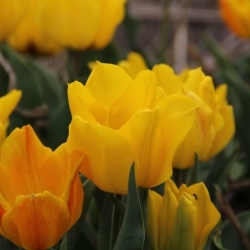 April-flowering tulips, height 15-30 cm. 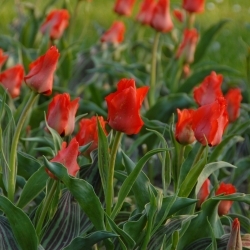 All with beautifull mottled leaves. 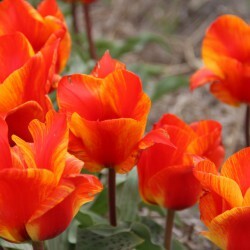 Ideal for bedding, plant them 15 cm apart.